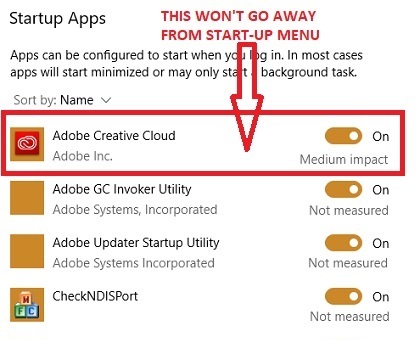 Are you facing problems removing Adobe Creative Cloud products from your Windows 10 PC? 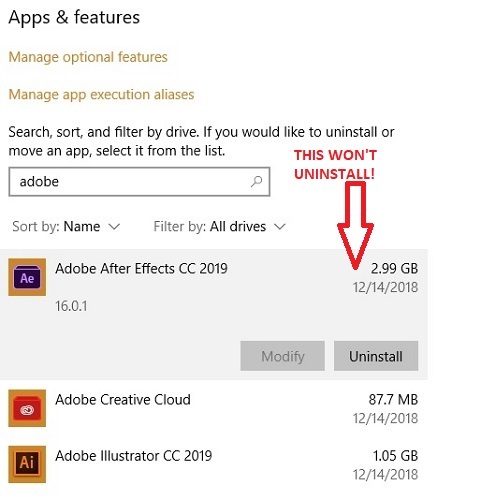 If you find good alternatives to Adobe products, then you might not want to keep them in your PC anymore. For some unexplained reason, Windows 10 allows Adobe products to behave like a resilient malware family that refuse to leave. This is certainly not a good design. 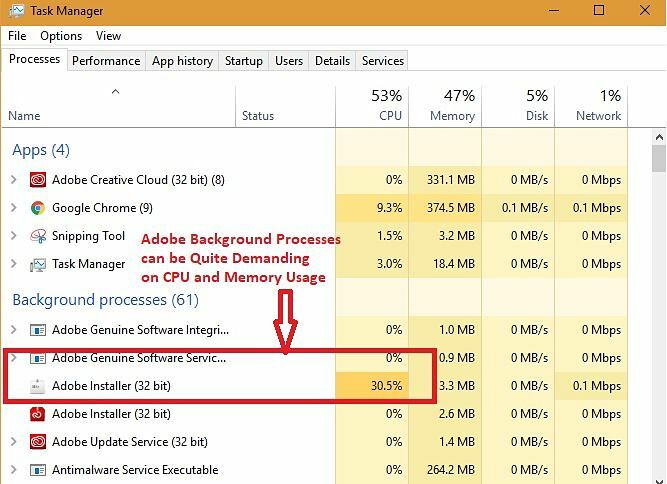 Adobe Creative Cloud products take up a lot of space inside your system. Even when you follow their recommended minimum guidelines (8 GB RAM, etc. ), you might have to put up with the laptop fan whirring loudly. Also, it is frustrating to have so many background processes consume vital CPU and memory. Although you can remove stubborn programs like these in safe mode, there should be easier alternatives. Trying to manually uninstall any Adobe Creative Commons product is impossible. 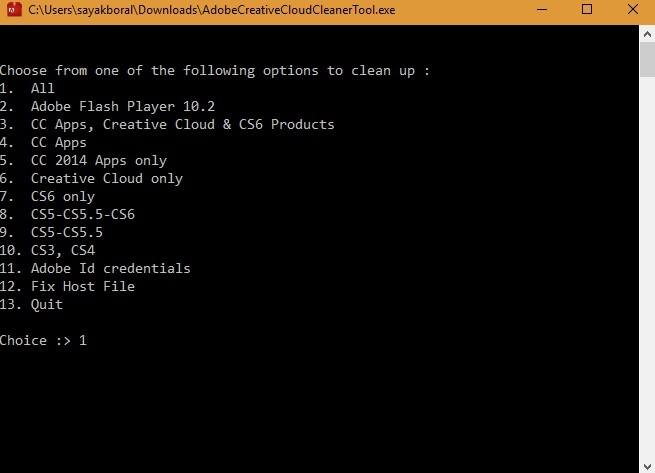 You can try uninstalling Adobe products with external cleanup utilities. I tried doing it with CleanMyPC. 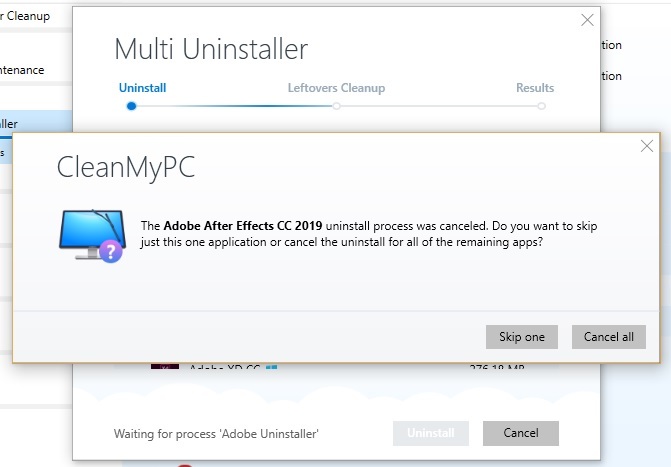 It has a multi-uninstaller option which does remove most stubborn programs. But not Adobe. Even when you try removing Adobe products one by one, you will get the following error message. 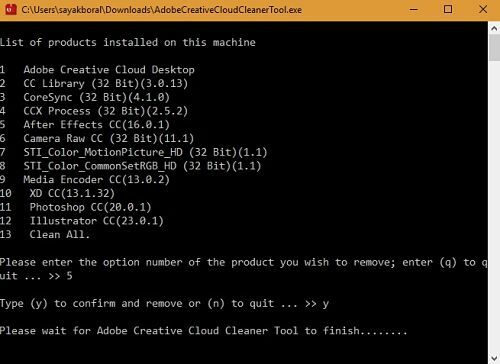 Fortunately, Adobe has provided an easy way to get rid of their products permanently using a tool called Creative Cloud Cleaner. The download link, however, is slightly difficult to locate and took me a bit of Googling to get there. Unlike other Adobe products, this program is lightweight and should be up and running quickly. 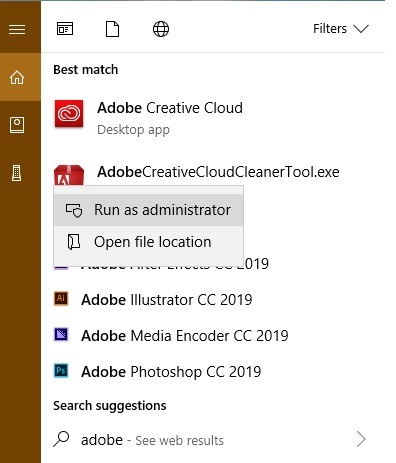 Once installed, you have to run the program as an administrator. 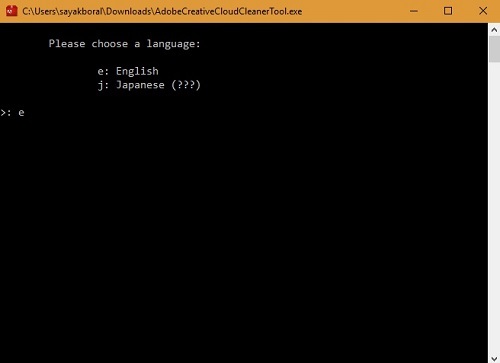 As soon as the .exe file loads, you must first choose a language option. Choose “e” for English. In the disclaimer box, enter y and proceed. It is at this stage that you can review the entire range of Adobe Creative Cloud products in one place. If you want to get rid of all of them, press 1. It is really that easy to permanently get rid of the entire Adobe family. All it takes is about five minutes and a fresh PC reboot. 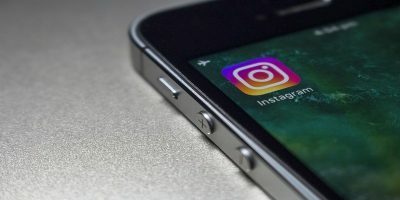 However, if you want to retain specific Adobe products, such as Photoshop, you will have to delete individual products one by one. 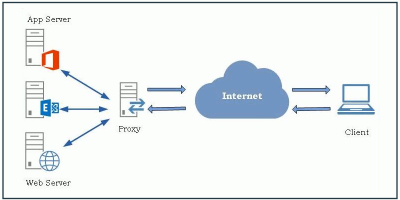 Enter 3 for Core Sync. Here, I entered 5 for removing After Effects. 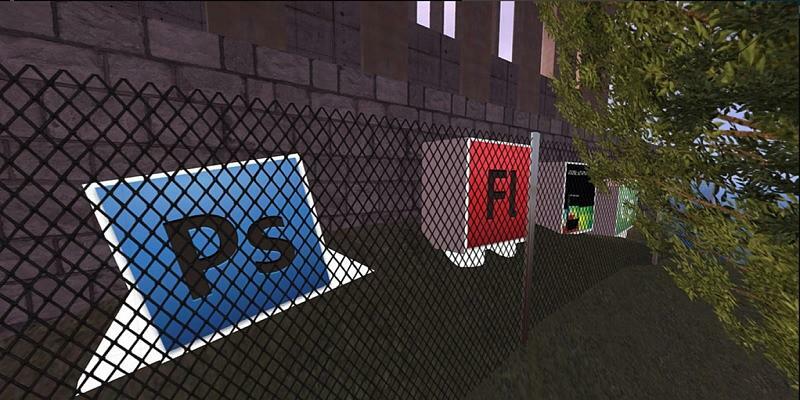 Press y to confirm, and very soon you will see the message that a specific Adobe program has been removed. Use GIMP instead of Photoshop. You can even make it look like Photoshop. Use Scribus instead of InDesign, Inkscape instead of Illustrator and Digicam instead of Lightroom. 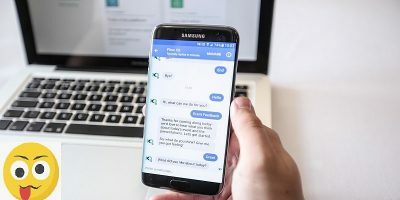 While this article is for Linux systems, all these Adobe alternatives can be used with Windows PC. 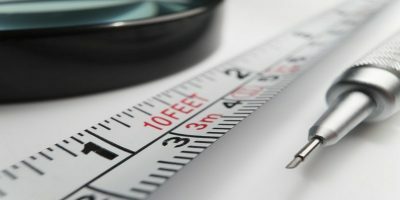 Foxit is one of the best alternative PDF readers that I recommend. 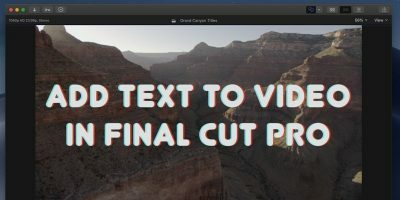 If you are looking for similar features and functionalities as Premiere Pro or After Effects, Final Cut Pro is a decent alternative. There is little doubt that Adobe family products are some of the best in the design business. 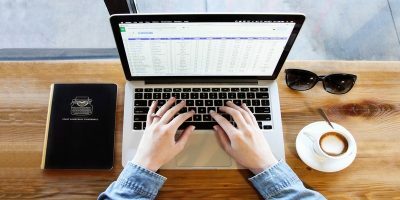 Adobe Premiere Pro, Media Encoder, Illustrator, LightRoom, InCopy, InDesign have all made their mark due to rich features. 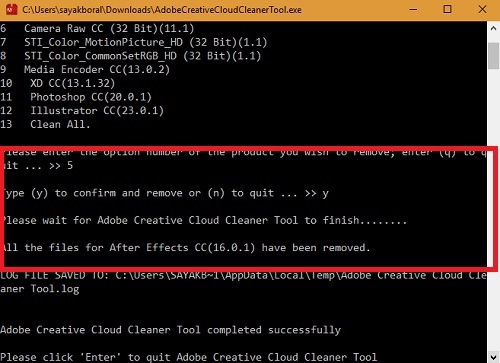 However, once installed it is not easy to remove them without Adobe Creative Cloud Cleaner. 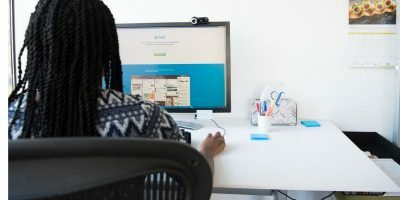 What are your views on Adobe’s software design which allows the Creative Cloud products to practically take over Windows PC?